A Pac-Man rip off, you play as a pair of jaws that has to eat all the food (which is purple dashes) while avoiding evil smiley faces. When you eat all the food, you advance to the next stage and you get this weird animation of a toothbrush brushing the jaws. 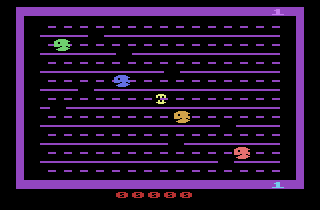 The gameplay is identical to Pac-Man, but kinda worse, because the stage layout is only horizontal lines and when you try to get the food the smiley faces ambush you from the opposite direction. Despite this, it can still be a fun game. Now you can add videos, screenshots, or other images (cover scans, disc scans, etc.) for Jawbreaker (1982) (Tigervision, John Harris) (7-002) to Emuparadise. Do it now! If you haven't noticed yet, we have a retro game of the day feature (top-right of the screen) wherein we feature a new retro title every single day! Now, you can vote for your favorite games and allow them to have their moment of glory. 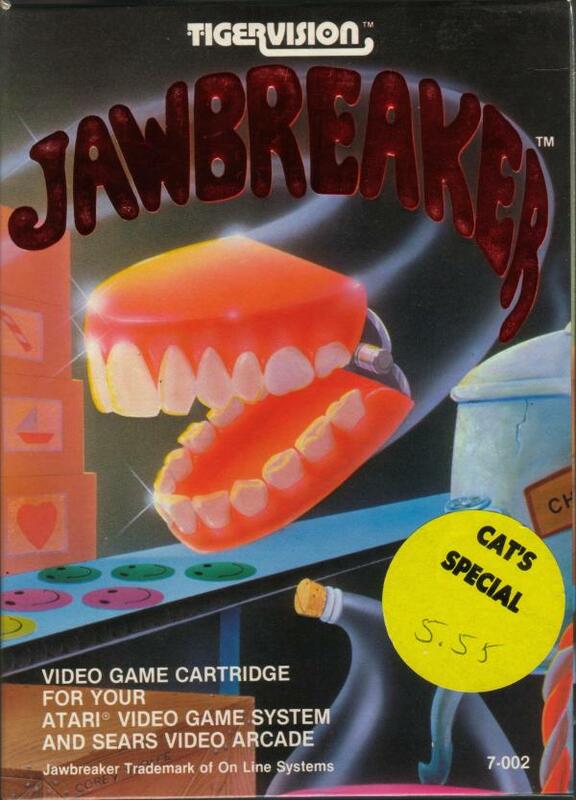 Click on the button below to nominate Jawbreaker (1982) (Tigervision, John Harris) (7-002) for Retro Game of the Day.